GARDENA — “An Evening of Aloha” will be presented on Saturday, Nov. 29, at from 7 to 8:30 p.m. at Happa Restaurant, 1641 W. Redondo Beach Blvd. in Gardena. Don’t miss a fun-filled evening of comedy, magic and music. Mark Kiyabu’s “Magic with Aloha” will entertain you with his Hawaiian flair, colorful humor, and unique local style of magic. 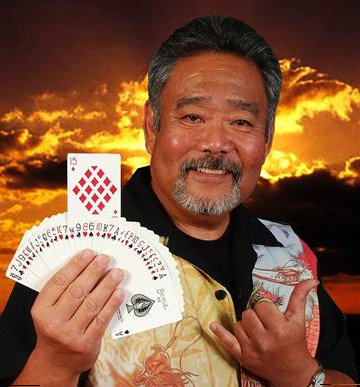 Originally from Honolulu, Kiyabu is a two-time winner of the International Brotherhood of Magicians Stand-Up Stage Competition. He has been performing in Southern California since 1980. The Kolohes, with their many sounds of music, will take you on a musical journey to the golden years of Hawaii. Dinner service and beverages will be available for purchase. Donations will go towards St. Jude Children’s Hospital.